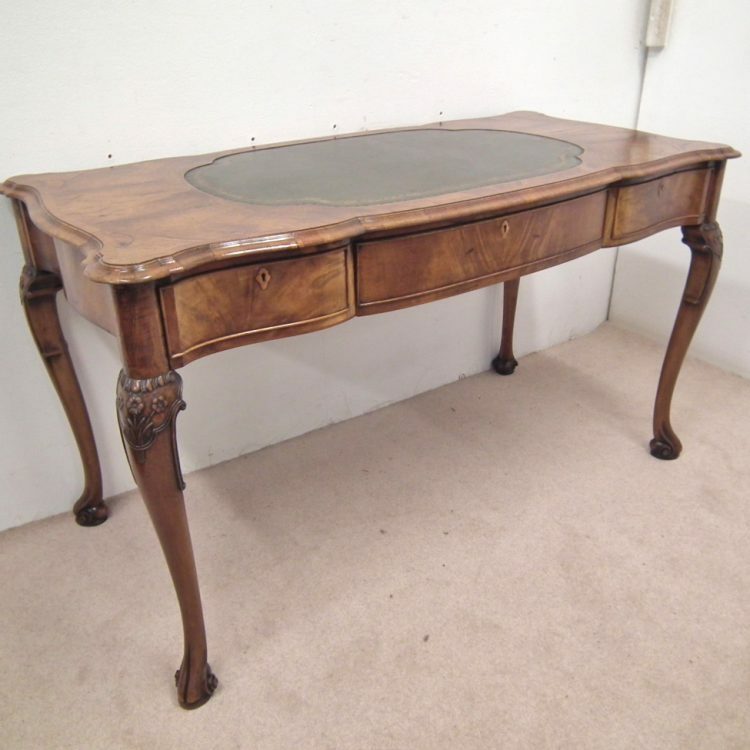 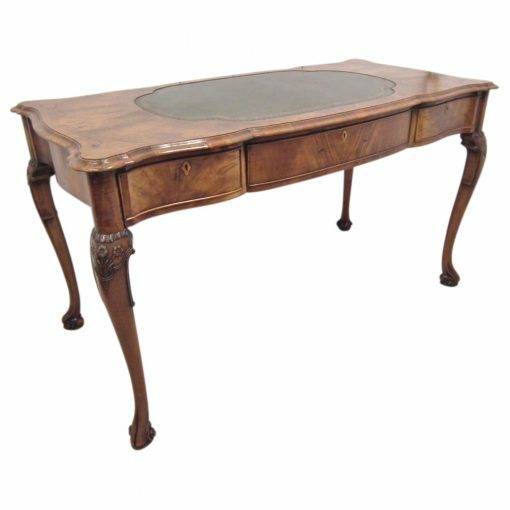 Circa 1920, early Georgian style figured walnut Tozer writing table. 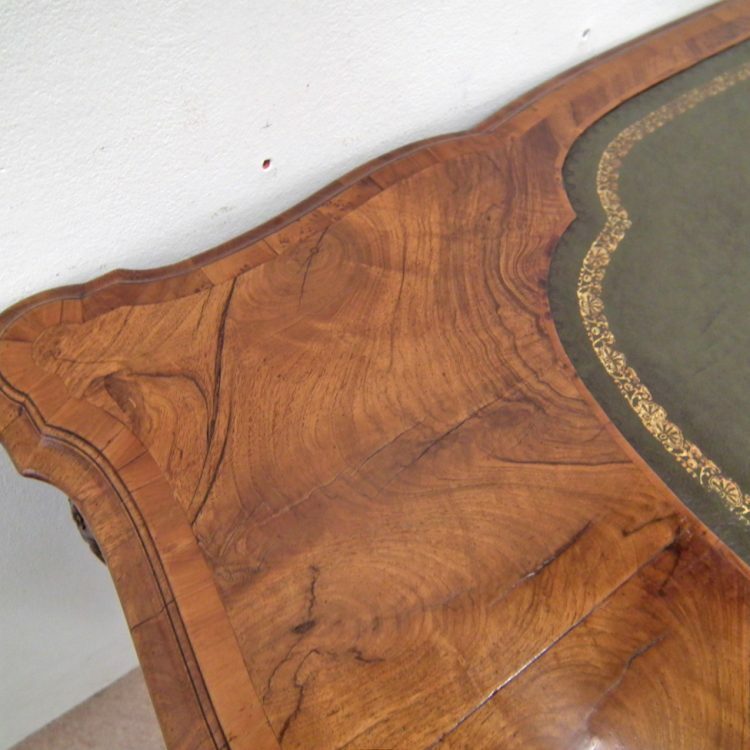 The crossbanded shaped top with a gilt-tool green skiver, has a shaped moulding. 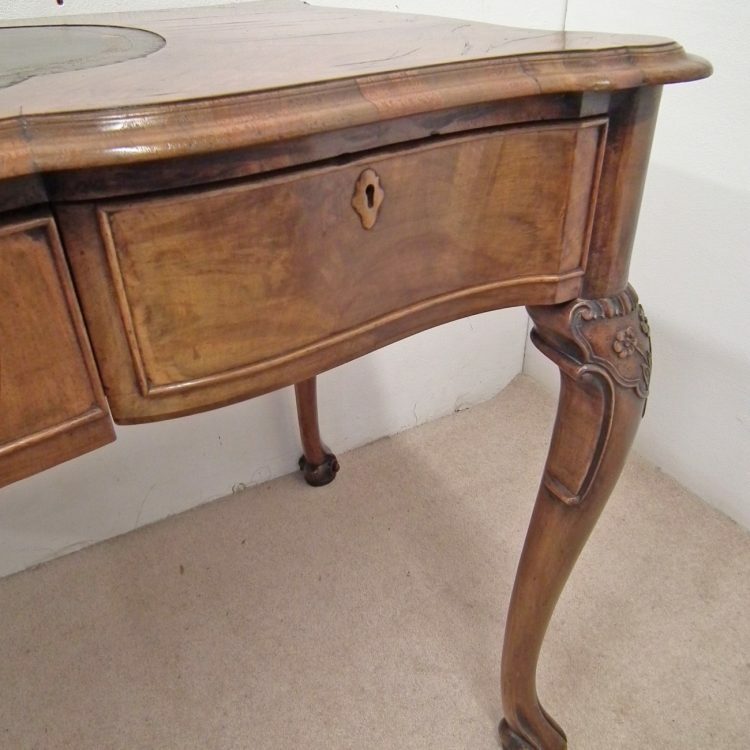 The frieze has 2 short and 1 long drawer in figured walnut all with unusual carved wooden escutcheon. 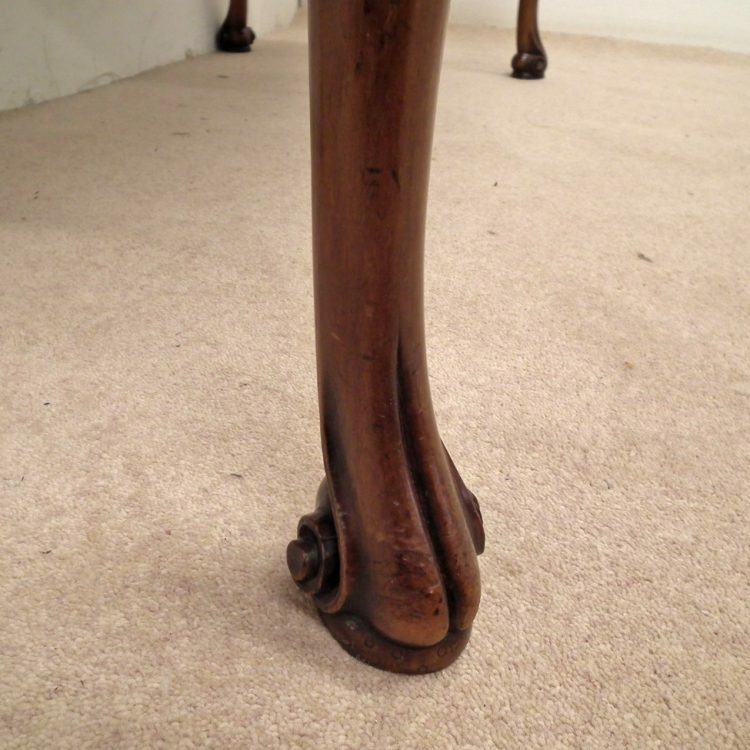 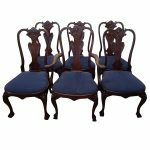 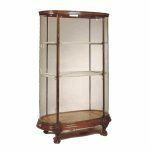 It all stands on elegant cabriole supports with floral carving to the knees and scrolled feet. 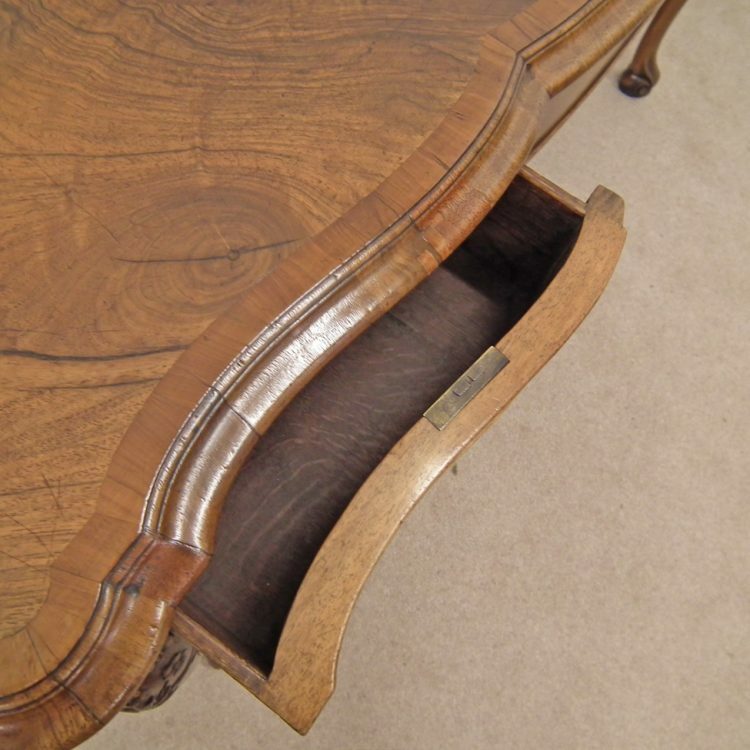 Tozer of London were one of the finest cabinetmakers who specialised in the early Georgian walnut revival style. 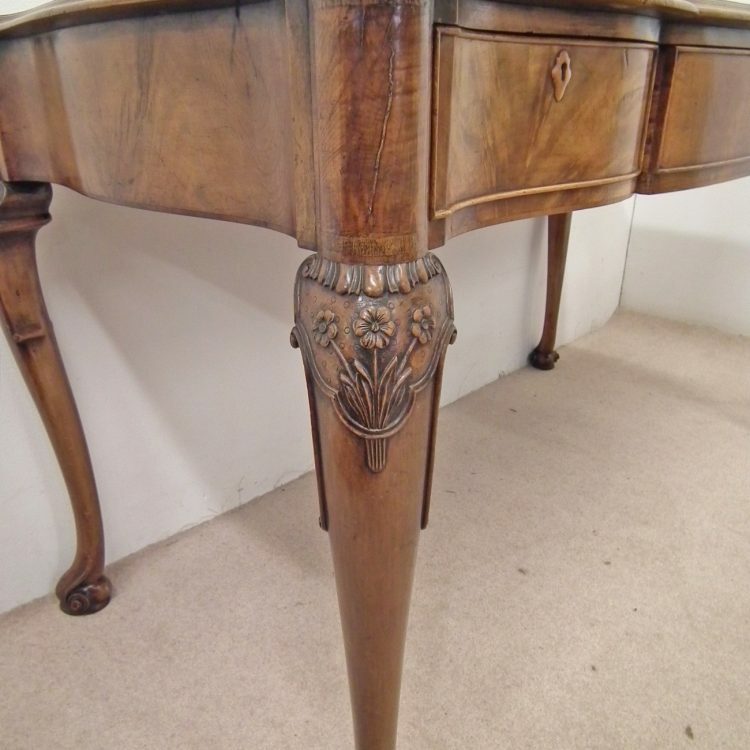 75 cm high x 132 cm wide x 66 cm deep.